Asbestos mine. View of exposed rock terraces at an asbestos mine. The rock here is chrysotile, or white asbestos, the most common form of the mineral. It is used in building materials, fireproof cloth, brake pads and insulation. Its use is banned in the European Union and Australia due to health hazards. 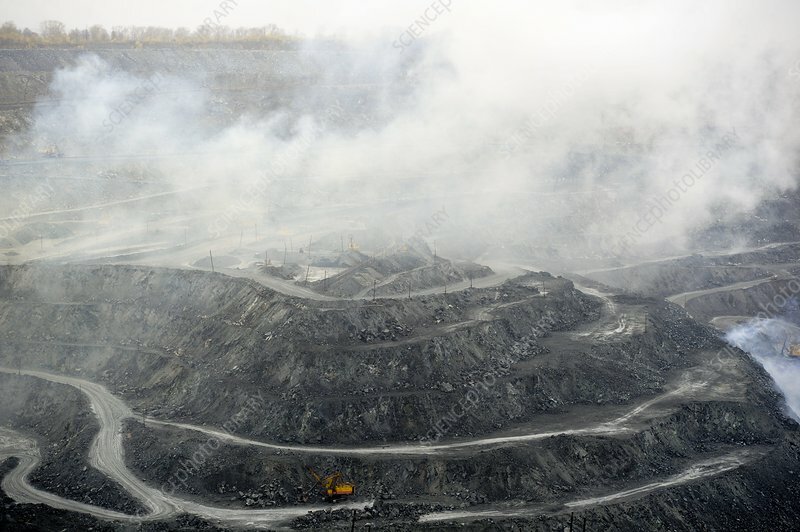 Photographed at the Bazenovsky quarry in Sverdlov, Russia.